The Behrman Family Scholarship Fund for a Young Writer provides three years of financial support to an undergraduate student who is a member of the Kelly Writers House community and/or involved in Writers House projects and programs. The purpose of the fund is to enable talented young Writers House-affiliated writers to spend more time on developing their writing than they otherwise might be able. The Behrman Scholar will receive the award beginning in his/her sophomore year and will continue to receive it for three years until the student has graduated (or as long as he or she continues to be in financial need and remains in good academic standing). A Behrman Scholar is named every other year; there are two scholarships available. Questions about the Fund can be directed to whscholarships@writing.upenn.edu. The Behrman Family Scholarship Fund for a Young Writer is made possible through the generosity of Grant Behrman (WG'77) on behalf of his family. 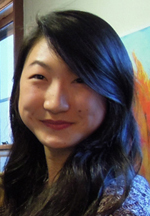 Connie Yu (C'17) works at the Kelly Writers House as assistant to Assistant Faculty Director Lily Applebaum, and as a sometimes-Program Assistant. She has taken up short- and long-term projects that identify, as potential mentors for current students, Writers House-affiliated people in assorted and exciting literary careers. She has also helped curate works for the 2013 Brodsky Gallery opening for Symbiosis, a Writers House-funded visual and literary arts magazine, for which she is an editor and gallery coordinator. 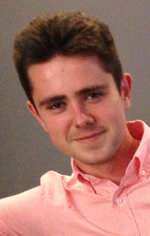 Jack Nessman is a senior in the College studying English, and a webmaster at the Writers House. He is editor-in-chief of Filament Magazine—the Writers House-funded arts and culture magazine—and a coach for Write On—a creative writing mentoring program for students from Leah Middle School. Jack has interned at Discovery Communications and the PEN/Faulkner Foundation. He also studied English abroad at King’s College London the fall of his junior year. Jack has done freelance graphic design work for the Agatston Urban Nutrition Initiative and projects in the Writers House community. Rivka Fogel (C'11) was recruited to Penn primarily because of the fine poems she had written while in high school, and since matriculating she has already taken a number of writing workshops and seminars, including courses with Professor Max Apple, Creative Writing Program Director Greg Djanikian, and CPCW Poetry and Poetics Fellow Rachel Levitsky. As a Writers House staff member, Rivka helped to organize a new network of campus editors, and she works closely with Writers House Director Jessica Lowenthal in researching international authors to invite for the Writers Without Borders series. 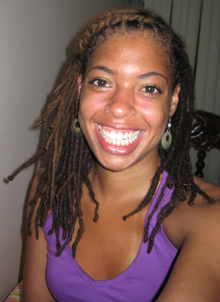 Aichlee Bushnell (C'09) grew up in Philadelphia. In 2007 and 2008, Aichlee served as the the Writers House Outreach Coordinator, and helped us to stay connected with folks around Penn and the city by planning community-service projects and reaching out to other organizations. She organized "Spelldown!" — our first-ever book-drive spelling bee — a raucous event that had participants stumbling and laughing over tricky words, eating difficult to spell foods, and collected books for the South Philadelphia YMCA Early Head Start MOMobile, an organization that promotes early childhood literacy within families who are living at or below the federal poverty line. Aichlee also founded the Brave Star Collective, a literacy outreach program for Philadelphia-area high school girls. Anyone who is (or expects to be) on financial aid is eligible. Rising juniors may apply, but preference will be given to rising sophomores (current second-semester freshmen). Applications should include a cover letter describing the candidate's involvement with the Writers House, a resume, and a writing sample. The current deadline for receipt of applications is March 15, 2009.